There's a crisis brewing in our fields, and it's about to get much, much worse. A Mexican farmworker hoes a cabbage field in Holtville, CA, this past September. Rosa’s parents, Hector and Angelina, crossed the muddy waters of the Rio Grande in 1995 with their two eldest children, and spent a few months building fences on Texas ranches before settling into the East Coast migrant-farmworker circuit. Today, all seven Garcias – including Rosa and two more U.S.-born kids – log hours picking produce, though compensation tends to be calculated at a piece rate instead of by the clock: A 32-pound bucket of tomatoes might bring $1. “Agriculture is very heavy work,” says Hector, 45, through a translator. “We toil from sunrise until our bodies can’t take any more.” A good day yields $60, just enough to keep food on the table and gas in the car. 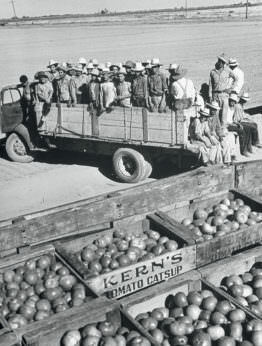 In 1954, some 3,000 Mexicans rioted at the border in Mexicali after waiting days for jobs in the United States, under this country’s Mexican Farm Labor Agreement, established in 1942 to address World War II labor shortages. Rosa and two of her siblings, born on American soil, are U.S. citizens. The older Garcia children reside here legally under DACA (Deferred Action for Childhood Arrivals), a 2012 executive order from President Barack Obama that allows undocumented immigrants who arrived prior to their 16th birthdays to seek renewable two-year work permits. In 2014, Obama issued a related executive order creating DAPA (Deferred Action for Parents of Americans and Lawful Permanent Residents), intended to protect parents like Hector and Angelina from deportation. The policy didn’t survive judicial scrutiny, rendering an estimated 3.5 million undocumented mothers and fathers of U.S.-born children at risk of having their families ripped apart – especially in the current political climate. 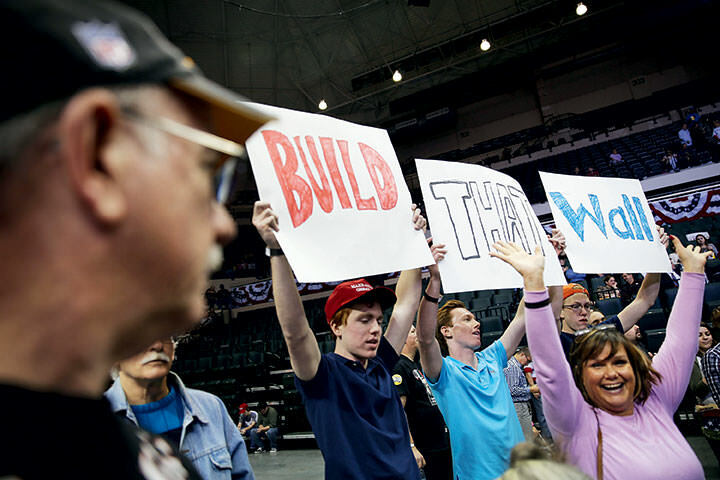 Trump supporters at a 2016 campaign rally in Tampa, FL, hold signs advocating strict border security. 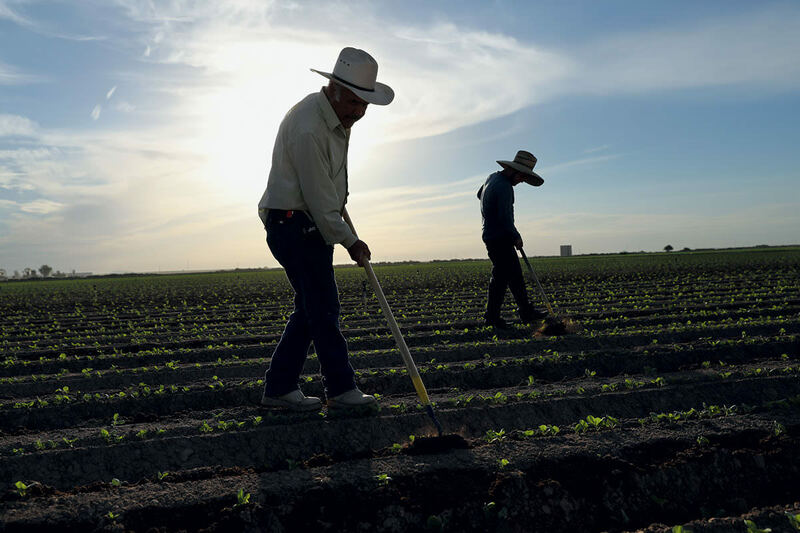 Americans who don’t empathize with the Garcias’ plight argue that Hector and his ilk should have secured H-2A visas, permitting them to work on U.S. farms temporarily. But that argument fails to grasp how the H-2A program actually operates. Domestic employers, not foreign workers, petition the Department of Labor for visas. The employers must then find the workers – a task typically outsourced to foreign private labor contractors. These middlemen entice workers by dangling access to the land of opportunity, charging thousands of dollars to handle paperwork and transport, and offering to finance the fees through high-interest loans. 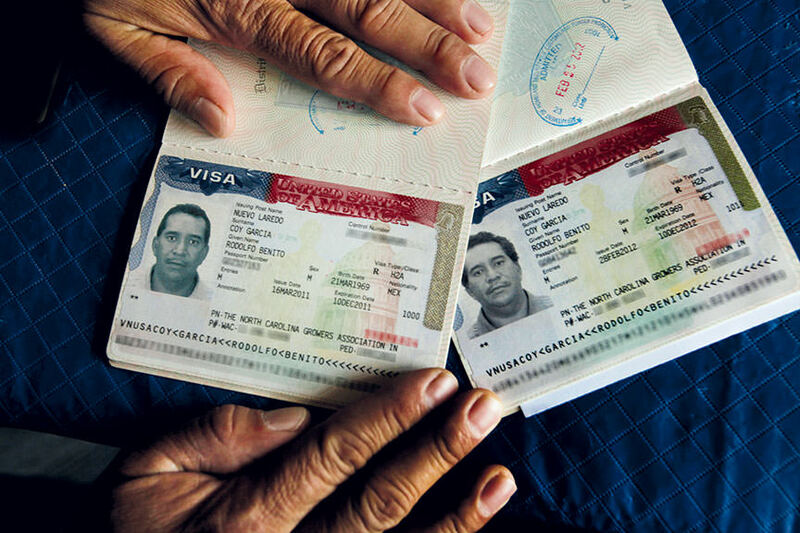 As a result, H-2A workers reach the States bound to a single employer here and often heavily indebted to a contractor in their home country. The number of H-2A visas issued annually has risen steadily since Rangel’s damning 2007 statement, yet the permits have never covered more than 10 percent of available fieldwork jobs in any given year. The fact that at least half of American fieldworkers are undocumented immigrants reveals a massive gap between the nation’s need for low-wage workers and its sanctioned supply. And to be perfectly clear, in this context, “immigrant” refers to a specific group: 93 percent of all immigrant farmworkers in this country hail from Mexico. 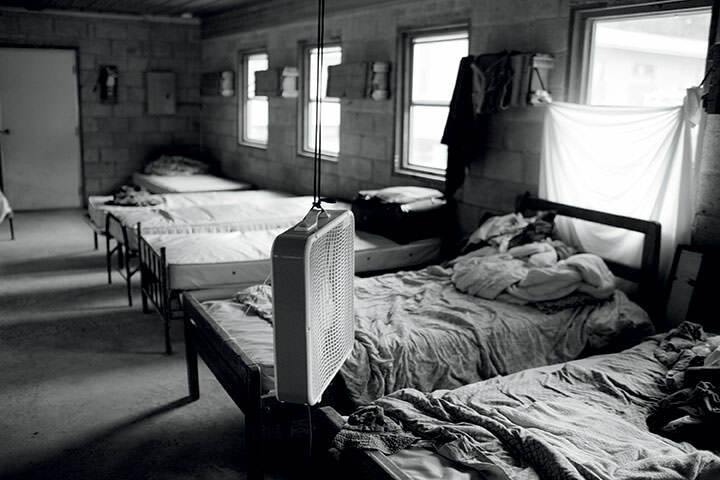 Photojournalist Andrew Lichtenstein, who has been documenting farmworker struggles in California and the Southeast for decades, took this shot of squalid housing conditions 12 years ago. The United States’ love-hate relationship with cheap labor sourced south of the border dates to the border’s establishment in 1848, at the end of the Mexican-American War. 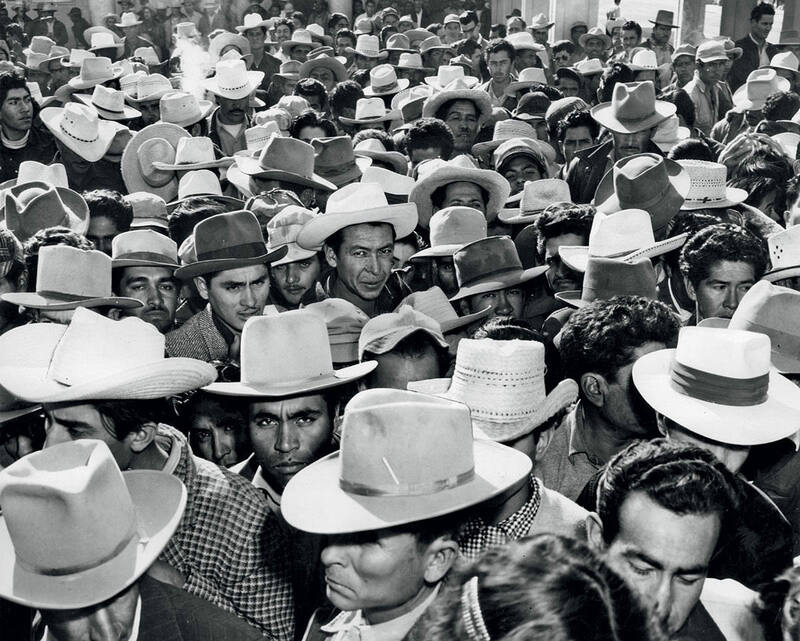 Prior to the 1930s, Mexicans flowed between the two countries pretty freely, but the Great Depression bred resentment among native-born Americans, and more than 500,000 people of Mexican heritage – some U.S. citizens – were “repatriated.” Of course, we dusted off the welcome mat the moment World War II labor shortages necessitated a thaw, via the Mexican Farm Labor Agreement, commonly known as the bracero (or “strong-armed one”) program. The government shut down the initiative in 1964, amid accusations of worker abuse as well as complaints that it robbed citizens of jobs. Around the same time, a burgeoning farmworkers’ rights movement was gaining steam under the leadership of Chicano activist Cesar Chavez, who grew up picking fruits and vegetables in the fields of California. After founding the National Farm Workers Association (precursor to the United Farm Workers union) with fellow advocate Dolores Huerta in 1962, Chavez organized a series of protests, most notably the Salad Bowl Strike of 1970. The largest farmworker strike in U.S. history, the walkout doubled national lettuce prices overnight and seeded significant reforms in California’s agricultural labor laws, among them the right to collective bargaining. 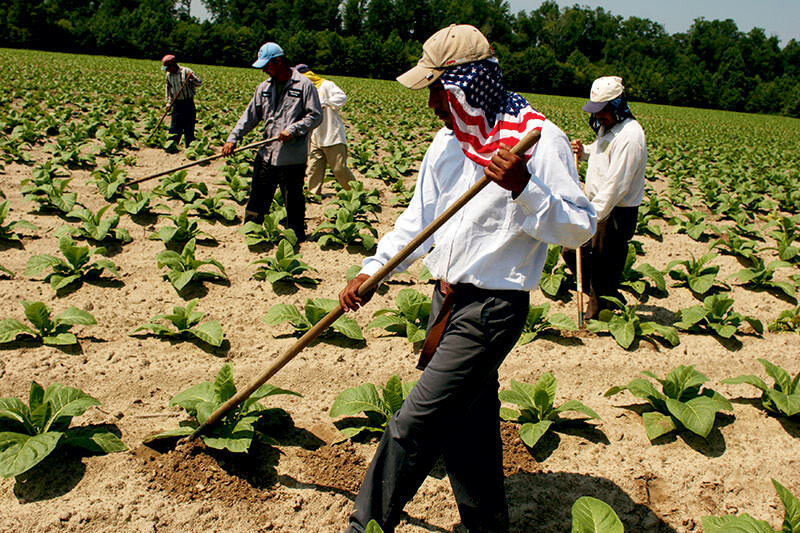 Migrant workers harvest sweet potatoes (BELOW) and weed rows of tobacco (ABOVE) in eastern North Carolina. Often, pickers are paid by the bin instead of by the hour. More recently, the Coalition of Immokalee Workers (CIW) – born of unrest in Florida’s notorious tomato industry during the early 1990s – has advanced the cause. By 2015, the primarily Latino coalition had convinced such food-industry behemoths as Walmart, Taco Bell, McDonald’s, Trader Joe’s, and Whole Foods Market to purchase tomatoes solely from growers who enlist in CIW’s Fair Food Program, which guarantees decent wages and audits farms to ensure fair treatment. Those of us who shop at farmers markets and eat at restaurants advertising the provenance of every ingredient prefer to think we’re innocent of supporting abusive labor practices. Unfortunately, fieldworker woes cut especially deep for organic producers and independent family farms, where humans perform tasks that chemicals and machines tackle at industrial outfits. “It’s very difficult for people to reconcile the truth that small local farms – so celebrated by the food movement – might not offer sustainable jobs,” says Margaret Gray, an associate professor of political science at Adelphi University in Garden City, New York. It’s little wonder Americans opt out of this career path. And opt out they do, no matter what you’ve read on Facebook re: immigrants “stealing our jobs.” One exhaustive case study examined unemployed, job-seeking citizens in North Carolina over a 15-year period, from 1998 through 2012. Upon being advised about openings on area farms, less than 0.1 percent of these job seekers, on average, asked to be referred each year. Of the several hundred referred, 97 percent were hired. Of those, less than half reported to work on the first day. And in no year did more than 11 individuals finish out the season on a farm. 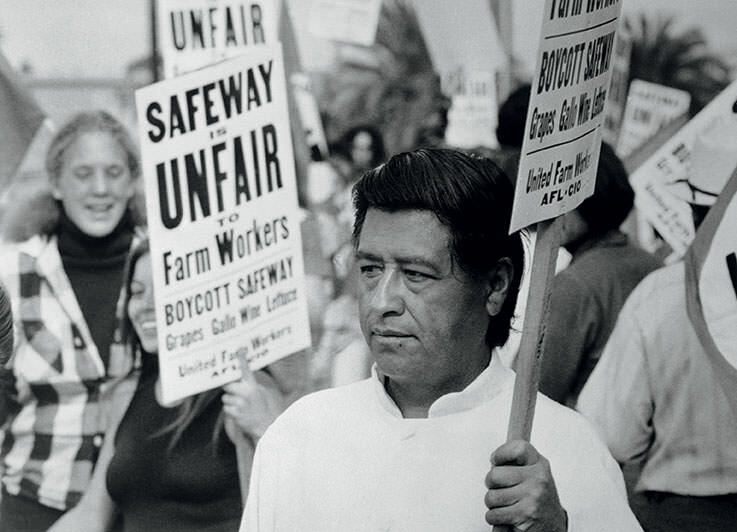 ABOVE The late activist Cesar Chavez, here picketing at Safeway’s San Diego”“area headquarters in 1973, co-founded the United Farm Workers union (originally called the National Farm Workers Association) in 1962. A 2013 study by the Center for Global Development, an independent Washington, D.C., think tank, analyzed 15 years’ worth of data from the North Carolina Division of Employment Security (which manages the state’s unemployment offices) and the North Carolina Growers Association (which recruits workers for hundreds of area farms). The findings compare the number of unemployed citizens with those who accepted referrals for available NCGA farm jobs, those who showed up for the first day of work, and those who completed the season on a farm: none in 1998 through 2001 and only 11 in 2008, 0.004 percent of all 283,048 job seekers that year. Click to enlarge. Employers may seem the obvious villains in our nation’s epic saga of fieldworker exploitation, but ultimately, the blame lies with American consumers, who have come to expect outrageously low food prices. We fork over less for food, as a percentage of household expenditures, than the citizens of 83 other nation tracked by the USDA: 6.4 percent in 2015, compared with more than 10 percent in most European Union countries and over 40 percent in Nigeria and Pakistan. Farm owners insist they can’t increase wages and benefits until we open our wallets at the grocery store – a quagmire that informs policy regulating farm labor. Agricultural workers are not entitled to the minimum wage (if the farm’s crew clocks fewer than 500 days, combined, per quarter), overtime pay (except in California), or a single day off per week. In most states, these workers do not have the right to form unions and negotiate collective bargaining agreements. Addressing the systemic problem wouldn’t require much, according to research by Philip Martin, a professor of agricultural and resource economics at the University of California, Davis. Martin concludes that raising farmworker wages 40 percent across the board would add a mere $21.15 to the annual budget of every American household. In 2012, The Family Garden garnered a “Food Justice Certified” label from the Agricultural Justice Project. A handful of similar labels have popped up on super- market shelves in recent years, among them the Coalition of Immokalee Workers’ “Fair Food” and the Equitable Food Initiative’s “Responsibly Grown. Farm- worker Assured.” designations. None approach the reach of programs such as USDA Organic, Fair Trade Certified, or Non-GMO Project Verified, but they do give consumers the opportunity to put their dollars where their values are. Which is not to suggest the Mexicans earn less at Swanton Berry. In 1998, it became the first unionized organic farm in the nation. The same United Farm Workers contract covers all of Cochran’s employees, ensuring a single pay structure and benefits package. No matter the position, everyone starts out at $10.75 an hour accruing raises based on seniority. They also receive medical coverage and paid vacation time, as long as they put in 30 hours a week – automatic for fieldworkers, but not the sales staff. “The fieldworkers are better compensated than the sales folks. It’s justified because they have the more arduous job,” says Cochran. Some 30 miles away, toward Salinas, another farm owner may have even more empathy for his workers. Javier Zamora immigrated to Los Angeles from south- western Mexico at the age of 20 in 1986 and gained legal status shortly thereafter with the passage of the Immigration Reform and Control Act. It took a couple decades, but Zamora eventually earned his high school diploma and an associate’s degree in organic horticulture from Cabrillo College in Aptos, California. There, he learned of ALBA, the Agriculture and Land-Based Training Association, a California group that acts as an incubator for Latino immigrants who aspire to become organic farmers. Six years ago, Zamora secured two acres of land with an ALBA-subsidized lease, and has since bought 200 acres of his own. The 51-year-old’s crew – as many as 26 people at peak season – make $12 to $16 an hour, depending on seniority. Several net upwards of $40,000 per year. “If you pay your employees well and treat them the way they deserve to be treated, you empower them to take ownership, and they realize the success of the business is reliant on them,” says Zamora, now a member of ALBA’s board of directors. 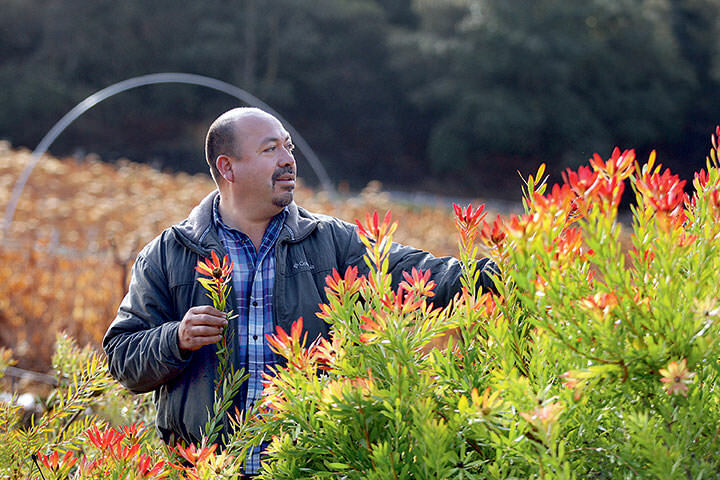 Once an undocumented Mexican immigrant, Javier Zamora now owns 200 acres near California’s Salinas Valley, where he farms flowers, strawberries, and vegetables organically. Zamora has traveled to Washington, D.C., twice over the past year, seeking congressional support for minority farmers. “I wanted to encourage our representatives to think more about the impact of what they do. It’s my community that benefits or suffers because of their decisions,” he explains. Zamora knows he’s proof of what an undocumented immigrant can achieve if given the chance, as he was in 1986 – when the Immigration Reform and Control Act granted legal status and opened a path to citizenship for 2.7 million people. The farmer also knows that the potential for such mass amnesty plummeted on November 8, 2016. Trump’s pledge to deport millions and build a wall at the Mexican border would no doubt wreak havoc on our nation’s food system. A 2014 study from the American Farm Bureau Federation analyzed various immigration scenarios and predicted that such an “enforcement only” policy would lead to a 30 to 40 percent loss of net vegetable and fruit revenue in the coming years, due to a combination of decreased productivity and higher labor costs. Last year, the Farm Bureau’s president, Zippy Duvall, warned of an impending labor crisis, alleging that crops were likely to rot in the fields as a result of labor shortages in at least 20 states. American agricultural employers must secure H-2A visas before importing seasonal workers, often through private labor contractors, a set-up that almost guarantees abuse. *The names of all Garcia family members have been changed.